Omega-3 rich fish oil is among one of the most well-known and well-researched nutrient supplements currently available on the market. With a wide range of amazing health benefits it is a great supplement to add to any wellness routine and best of all, animal-based omega-3 fats are one of the few supplements that even doctors who take a more natural approach to health and wellness will recommend. It’s particularly helpful in protecting and stimulating brain health, and it may even help the brain heal and repair itself after a traumatic injury. Recent research also suggests fish oil may even work to slow down and stave off age-related brain atrophy and decay. The benefits seen during recovery from traumatic brain injury is among the most surprising and exiting of all the fish oil benefits and is being investigated in depth today by many experts. “According to the Centers for Disease Control and Prevention (CDC), some 1.7 million traumatic brain injuries occur in the US each year, making the prospect of utilizing fish oil very exciting…According to leading omega-3 expert Dr. Barry Sears, there are currently seven cases in the medical literature describing the use of fish oil for traumatic brain injury—each one of them successfully so” (Mercola). Many people wonder how fish oil keeps you healthy and learning about the health benefits of fish oil is an important step in taking charge and being more in control of your own health. Research that has been done over the past ten or so years has confirmed the beneficial effect of omega-3 fat on brain function in young children. Before puberty hit the brain is growing and helpful fatty oils help with this development. One of the best known is DHA, which is found in great abundance in fish oil. Another omega-3 fat is known as ALA and has shown to be very important for normal brain development in children up until they are 18 years of age and maybe even older. This is just one more example of how fish oil keeps you healthy. 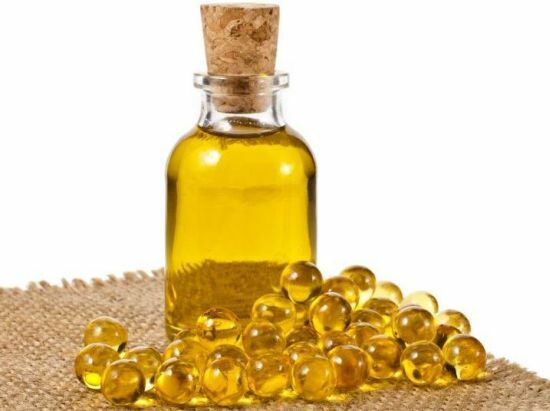 As more research is done and better data is collected on this supplement, even more health benefits of fish oil will be discovered: It has long been known that fatty oils help stimulate brain cell growth and health and it is also being shown to help strengthen and improve those cells as they are growing. It provides the nutrients and chemical compounds needed for brain tissue and is also thought to help improve nerve communications and message relay within the brain- so again boosting brain function and performance. It is little surprise then why there are so many people who are adding fish oil supplements to their diet and end up seeing amazing results. While supplements are far safer than chemical based medications that many use today to stay healthy, there is still a word of caution that needs to be remembered. It is always best to get DHA, Omega-3 fats, and other nutrients found in fish oil by eating healthy cuts of fish rather than popping a pill. However, among all the supplements taken, fish oil whether made from fish or krill, is among the best out there! Most Americans are seriously deficient in omega-3 fats and this may explain why instances of depression, anxiety, Alzheimer’s, dementia, and other cognitive issues are seemingly on the rise. Those suffering from these mental issues and disorders almost always test lower than what they should for the levels of omega-3 in their blood. There is a reason fish has always been called brain food. It helps build a stronger brain, improves the function of that brain, helps us utilize our brain to its fullest, and helps protect the brain and keep sit working efficiently. While Omega fats can be found in other meat sources most people consume the wrong types of meat and end up getting far too many damaged omega fats or get none at all because they eat only highly processed foods with a lot of preservatives, additives, and hormones. And, unfortunately, fish population are on the decline due to over-fishing and pollution, so it is harder than ever to find quality fish to get omega fats and oils into the diet naturally. There are many ways to see how fish oil keeps you healthy and now that you know the health benefits of fish oil, consider adding some fish oil supplements to your diet today and see the results for yourself!